A medium-sized dragonfly with a very broad, flattened abdomen. The male is blue and the female yellow. 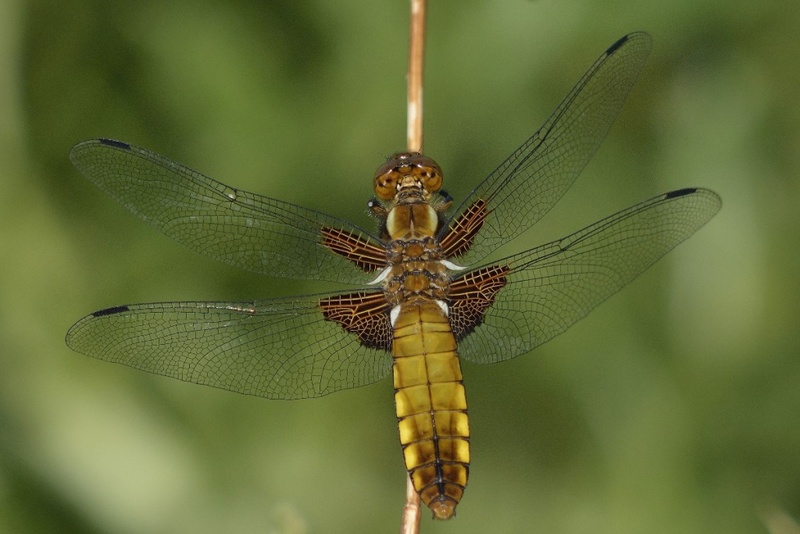 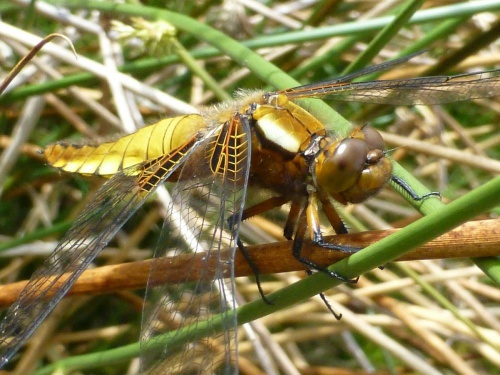 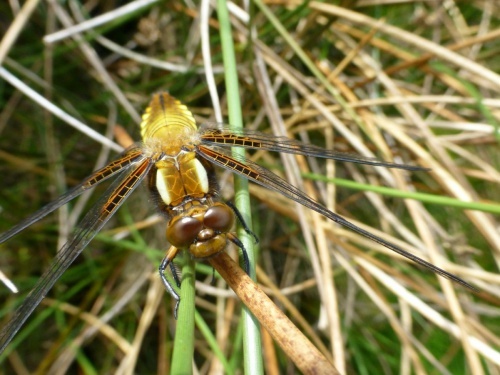 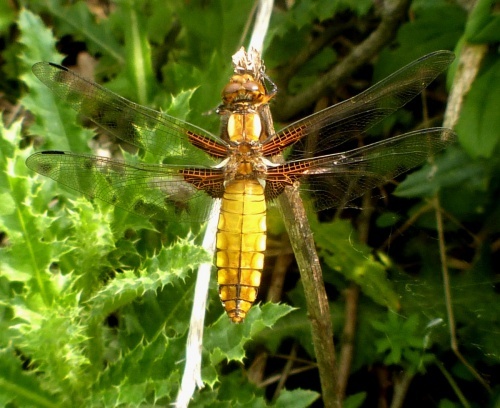 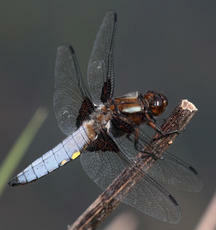 It can be distinguished from the Four-spotted Chaser by the absence of the wing spots. 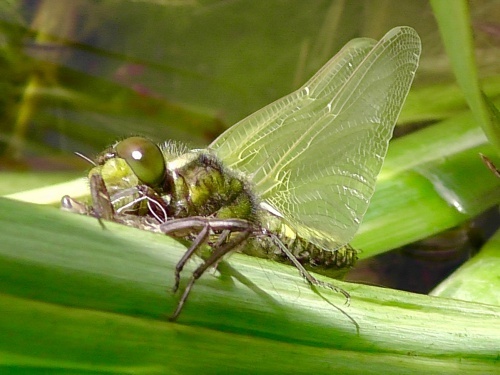 It favours shallow still water habitats and is found in well-vegetated and still ponds, including garden and farm ponds. It is quick to colonise new ponds. 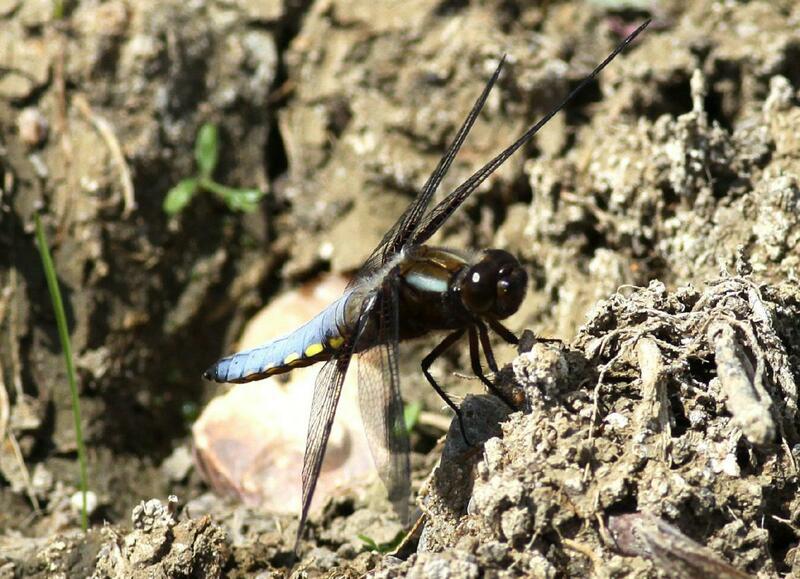 The larvae take 1-3 years to develop and lay partially buried in the bottom mud. 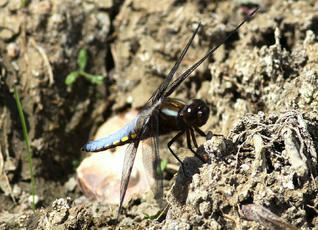 They can even survive for a while if the pond dries up. 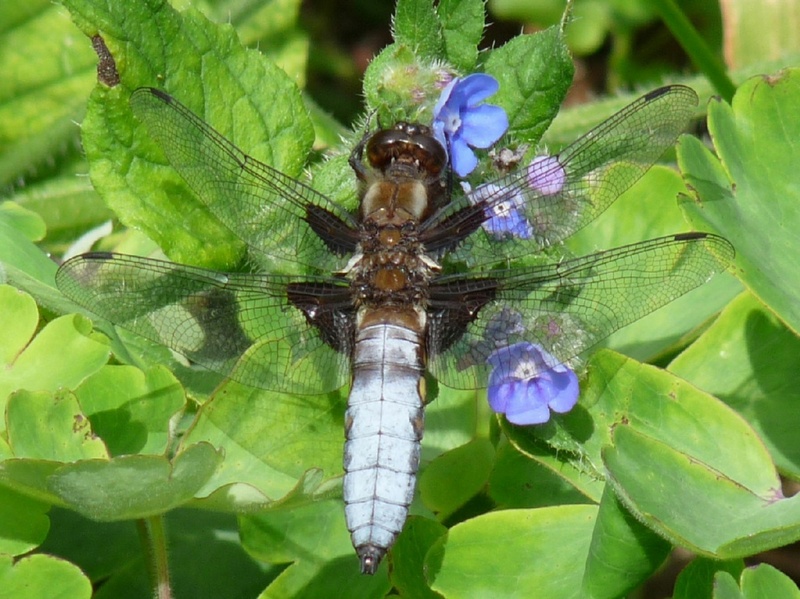 Locally frequent in England and Wales but scarcer further north. Widespread but somewhat local in distribution in our area, being found in suitable locations throughout Leicestershire and Rutland. 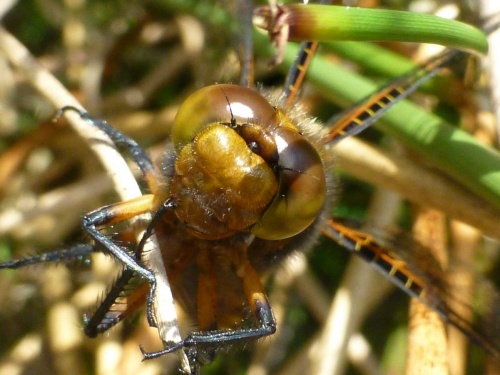 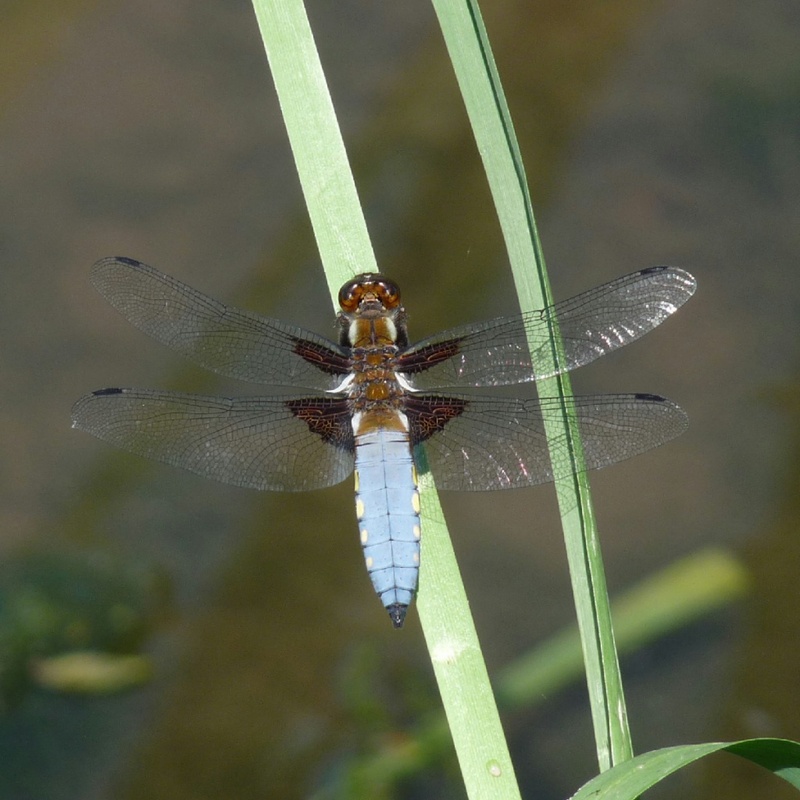 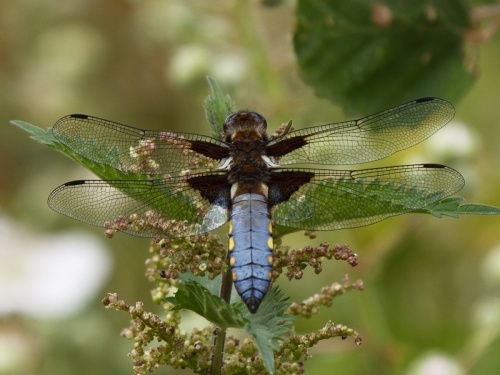 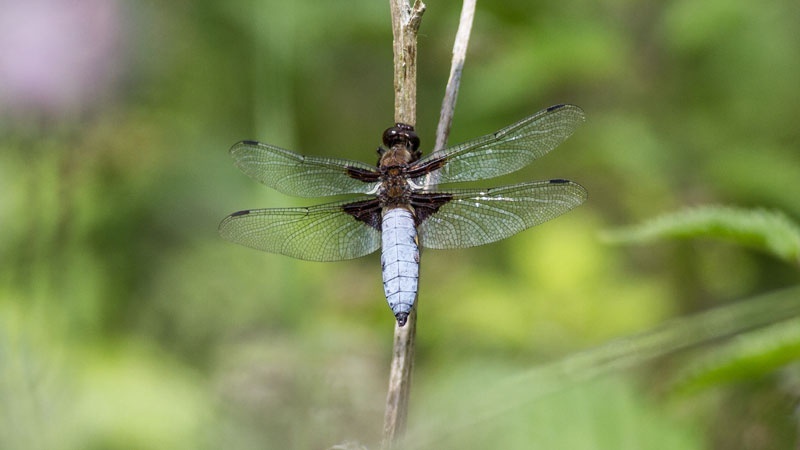 A species that favours shallow stillwater habitats, this distinctive dragonfly is widespread but somewhat local in distribution, being found in suitable locations throughout VC 55. 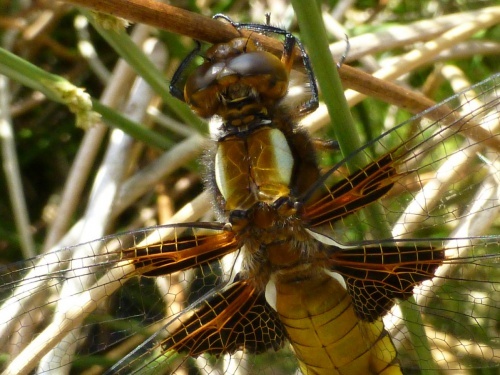 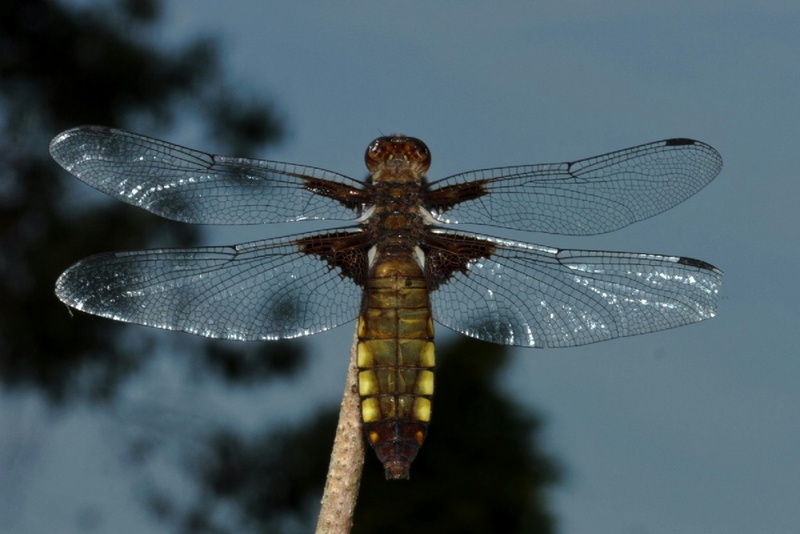 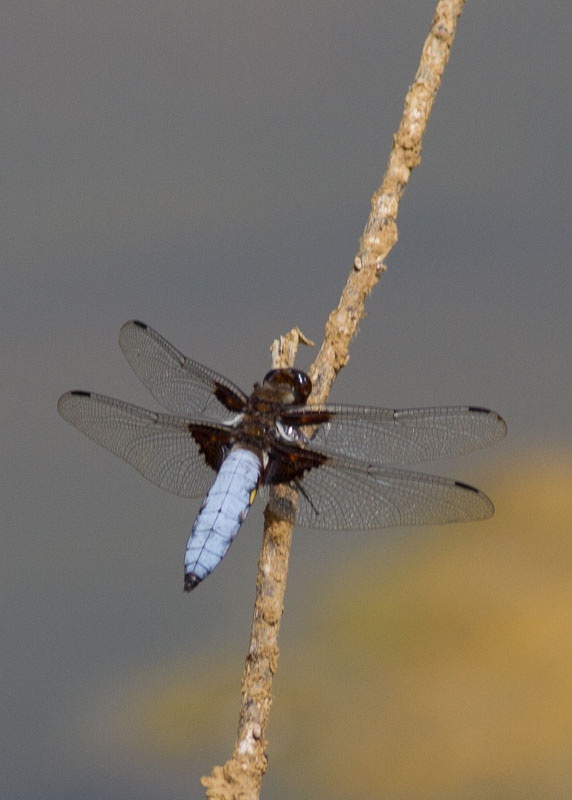 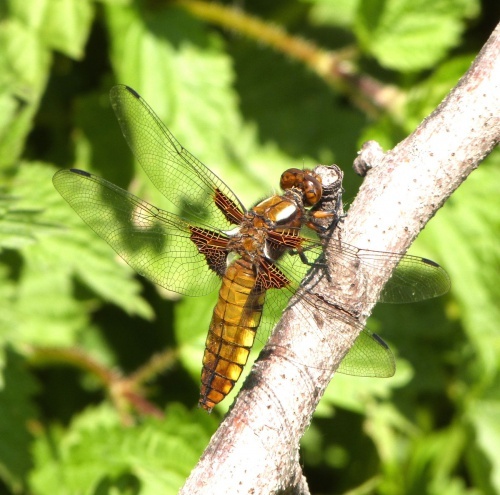 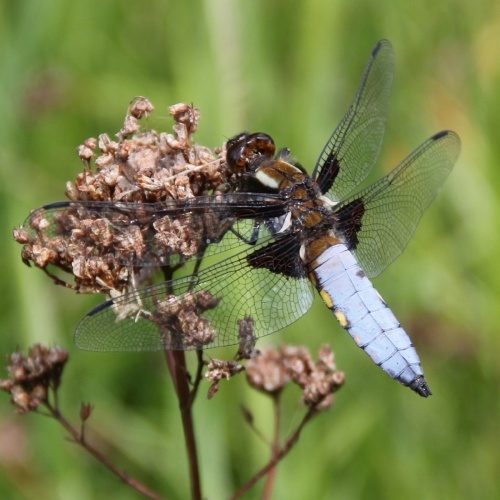 Historic data shows that the Broad-bodied Chaser was relatively abundant in the 1930s, with Roebook (1932) describing it as 'fairly common in Leicestershire'. 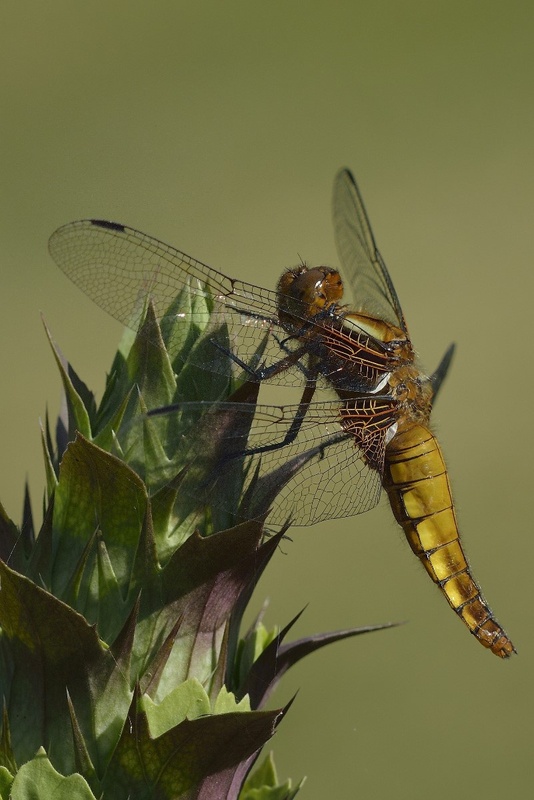 There were few records between this period and the 1980s, after which time it appears to have made a resurgence, and is now more widely distributed.